After a long night out on the town, you wake up feeling nauseous and your head aches unbearably. Most people are overly familiar with the type of hangover that comes with drinking too much alcohol. Interestingly, it is also possible to exerience a Xanax hangover. 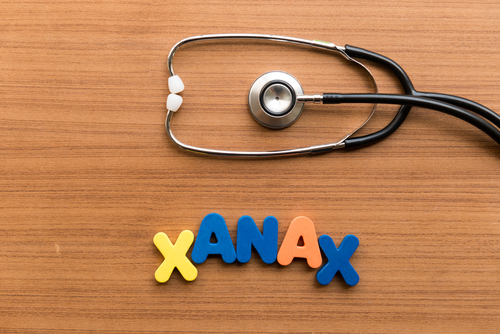 When someone uses Xanax, they can experience a variety of symptoms. Some people can take high doses of Xanax and wake up feeling perfectly fine. Other people will feel a Xanax hangover if they pop one pill. For the most part, your symptoms depend on the amount you consumed and your unique physical chemistry. While some of the symptoms of a Xanax hangover are similar to the type of hangover you would get from alcohol, there are slight differences. If you woke up feeling lethargic or unmotivated today, then there is a chance that you are suffering from a Xanax hangover. What Happens With a Xanax Hangover? When someone has a hangover from Xanax, it can cause an array of different symptoms. While your experience may be slightly different, most people feel tired, unmotivated and lethargic. After consuming significant quantities of Xanax, some individuals actually have problems going to sleep. If you have used a lot of Xanax recreationally, you should not be surprised if it feels impossible to get out of bed and get moving the next morning. Is There a Way to Prevent a Xanax Hangover? The best way to prevent this type of hangover from happening is to use Xanax only according to your doctor’s prescription. You should never use more Xanax than recommended or for quantities higher than your doctor told you to. If you are taking Xanax already, getting plenty of sleep will help your body adjust to the effects of the medication. Sleep will give your body and mind a chance to heal. In the future, make sure that you do not use any medication for off-label purposes.